In brief: Microsoft is spreading the holiday cheer this year with a freebie that'll all but guarantee victory at your upcoming Christmas party (or if nothing else, make you the envy of all your geek friends). The on-again, off-again trend of ugly Christmas sweaters has arguably never been hotter. Themed parties in which attendees attempt to top each other with the tackiest getup are prevalent this time of year and Microsoft wants in on the fun. 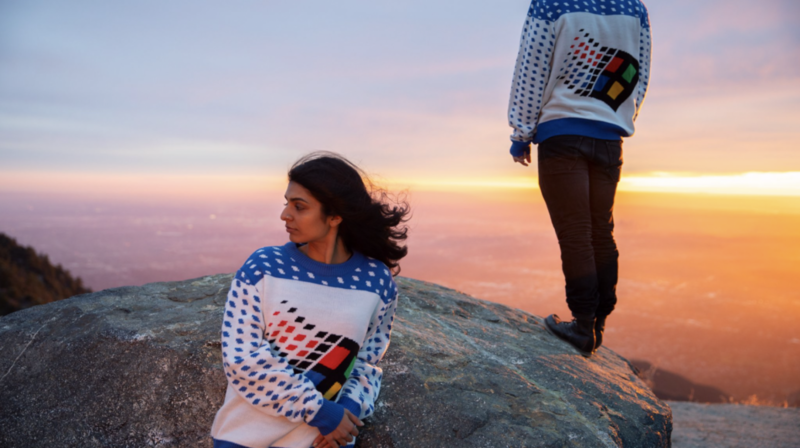 The Redmond tech giant recently shared images of its latest piece of “softwear,” the Windows 95 ugly sweater. Best yet, Microsoft is giving away its sweater to “a few lucky fans” via Twitter. Apparently all you need to do is ask for one then check your DMs to see if you’ve been selected. Microsoft’s sweater may or may not make it in time for your upcoming holiday party. If you need a backup plan, sites like Ugly Christmas Sweater and Tipsy Elves have excellent selections of tacky garments to choose from. They’re kind of expensive (the average starting price seems to be around $40), especially considering you’ll probably only wear it once. The better bet may be to check your local Goodwill or grandma’s closet.